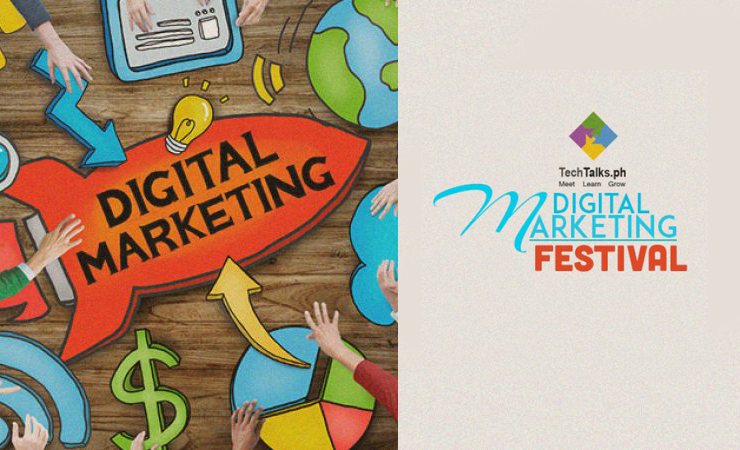 TechTalks.ph, the leading tech and startup community in the Philippines, announces the holding of a Digital Marketing Festival in Cebu this November. This latest offering from the organizer of “Geeks on A Beach” and the “Startup Weekend” workshops since 2012 will come in the form of a series of focused workshops for different levels of marketers, business enthusiasts, and entrepreneurs. This will include a “Digital Marketing on a Budget” workshop on November 12, “Advanced Content Marketing” on November 24-25, “Digital Marketing Literacy for CEOs and Decision Makers” on November 25, and “Social Media for Business” on November 26. “In this digital world, one cannot probably last a day without checking Facebook, posting one’s lunch on Instagram, or tweeting about the latest happening. Marketing practitioners must take this into account,” said TechTalks.ph founder Tina Amper. Robert Cristobal, TechTalks.ph Chief Content Officer based in Singapore, is coming to Cebu to conduct the workshops with the help of TechTalks.ph senior staff in a yet to be announced venue in Cebu City. “It is clear that the public has changed the way they consume information, especially millennials, who may get their news online. Marketing has also evolved to address these changes that every business entity now face,” said Amper. “Knowledge on reaching today’s customers, consumers and potential business contacts through digital channels is a key asset. Having a digital marketing strategy is a great advantage,” she added. With this in mind, TechTalks.ph organized the Digital Marketing Festival to share expertise and help uplift businesses by sharing case studies on innovative ways of doing advertising, brand promotion, marketing and sales. The workshops will feature a combination of lecture, case studies and intensive dialogues by experts with over 50 years of combined experience in the corporate, entrepreneurial, startup and consulting world. Students and educators who are interested in knowing more about exciting and lucrative careers in Digital Marketing, Social Media, Advertising Technology (Adtech) and related professions are also encouraged to attend. For more information and to sign up, visit www.techtalks.ph, email info@techalks.ph, or phone +63 0915-481-7703.